The 2015 program will compel discussion, make you laugh, tug at your heartstrings and motivate you to make a difference in your community. Incredibly diverse in style and content, LUNAFEST is united by a common thread of exceptional storytelling – made by and about women. A life-changing, non-profit program for girls in the 3rd through 8th grade. Our mission is to inspire girls to be joyful, healthy and confident using a fun, experience-based curriculum which creatively integrates running. 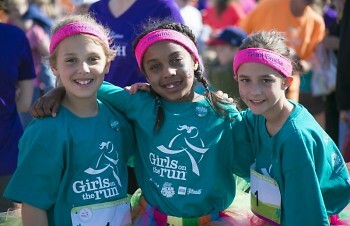 For more information, visit our web site at www.kcgotr.org. As the fundraising film festival LUNAFEST celebrates its 14th year, it will be making its debut in Grand Rapids for the first time next week. Dedicated to promoting awareness about women's issues, highlighting women filmmakers, and bringing women together in their communities, LUNAFEST will be hosted by Kent County Girls on the Run at the Grand Rapids Art Museum on Thursday, April 23, 2015. Kent County Girls on the Run Executive Director Lori Burgess first learned about LUNAFEST at a national Summit Conference for Girls on the Run International in 2013 and had the idea that the event may be a good fit for the West Michigan community. "We are thrilled to be the first to offer LUNAFEST in West Michigan,” says Burgess. 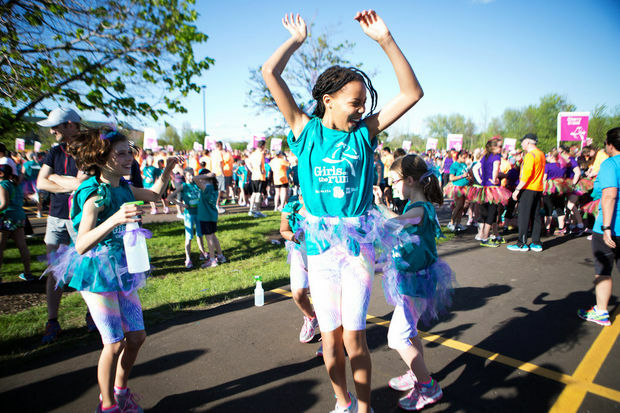 “An important part of the Girls on the Run curriculum is helping the girls identify areas where they can serve and impact people and communities. LUNAFEST gives us an opportunity to impact our teams, the Breast Cancer Fund and our arts community by bringing a quality and meaningful art experience to Grand Rapids." Burgess then assembled a committee of volunteers to get to work on logistics, including committee chair Nancy Brozek. The film festival highlights women as leaders in society, illustrated through eight short films by women filmmakers. The films range from animation to fictional drama, and cover topics such as women’s health, motherhood, body image, aging, cultural diversity and breaking barriers. "These films and filmmakers embody the mission of Girls on the Run - to empower girls to discover their potential and to impact the people and communities in which they live," said Burgess. The event kicks off with a reception featuring Kent County GIrls in the Fun Founder Molly Barker at 5:30 p.m., and the films will begin at 6:45 p.m. The length of each film is approximately 10 minutes and, although the festival is incredibly diverse in style and content, LUNAFEST is united by a common thread of exceptional storytelling – by, for and about women. All proceeds from LUNAFEST will benefit the Breast Cancer Fund and Kent County Girls on the Run. Tickets can be purchased and more information can be found at www.kcgotr.org. Disclosure: The author is on the committee for LUNAFEST.